Two weeks ago if you had even remotely suggested that Juventus FC would proceed to the next stage of the European Champions League, no one would take you seriously. But that's exactly what has happened. Juventus lost the first leg tie to Athletico Madrid going down two goals to nil. They needed to win by a margin of 3 goals. All hopes were on their most expensive player Ronaldo(Juventus paid Real Madrid nearly £100m for the Portugal star) who they bought specifically for the purpose of tasting European success. 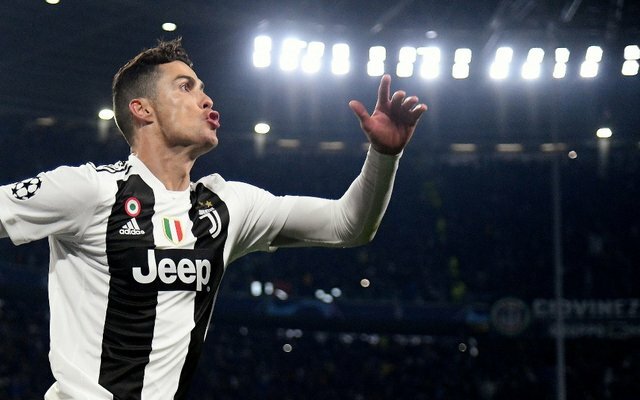 Ronaldo put on one of the most impressive performances this year to score three goals (a hattrick) and secure victory for his club winning via aggregate 3-2. The reaction from around the world has been priceless. The Portuguese star had scored just once in his six games prior in the competition this season but once again Ronaldo showed he is truly a star player who lives for the big games. He really is a sensational player. With that result, Juventus proceeds to the quarter-finals alongside Ajax, Manchester United, Manchester City, Porto, and Tottenham. German giants Bayern Munich will host Liverpool at the Allianz Arena while Barcelona will be looking to beat Lyon at the camp Nou. Both ties ended in goalless draws the first leg. Congratulations @ulqu3! You received a personal award!